The UK’s only Bimota dealer has opened in Scotland with the first two bikes already shipped and in stock ready for sale. Moto Meccanica has taken delivery of a BMW S1000RR-engined BB3 superbike along with a limited-edition version of the hub-centre steered Tesi which is a 40th anniversary version, but is also cater for all bikes while specialising in Italian bikes. 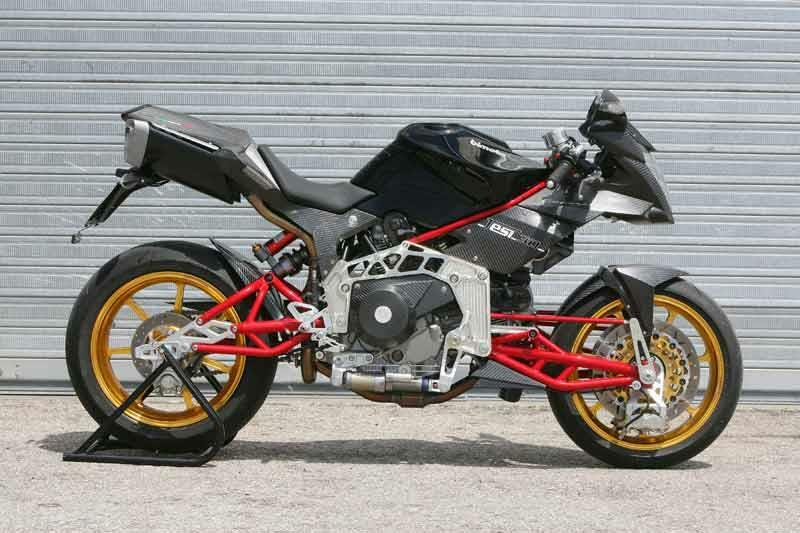 Moto Meccanica boss Dean Morrice told MCN: “I contacted the factory in Rimini in early December 2013 to chat to the new owner Daniele Longoni about the prospect of bringing the marque to the UK. We have been in constant contact ever since. "Our contract was signed less than four weeks ago and we have taken delivery now of our first Tesi and BB3 today. We are especially proud of the fact that we have secured the Number one plated 40th anniversary Tesi, of which there will only ever be 40 examples produced. “We opened our doors on the 3rd March 2014 as a motorcycle workshop with an outlook to looking after the growing motorcycling community in and around the North East of Scotland. We are located in the heart of Aberdeen and cater for every make of bike but specialising in all things Italian. Moto Meccanica is taking part in the first local motorcycle show on September 7 in nearby Alford which they hope Bimota co-owner Longoni will attend.